Opening Ceremonies @ National Stadium ~ Powerful! 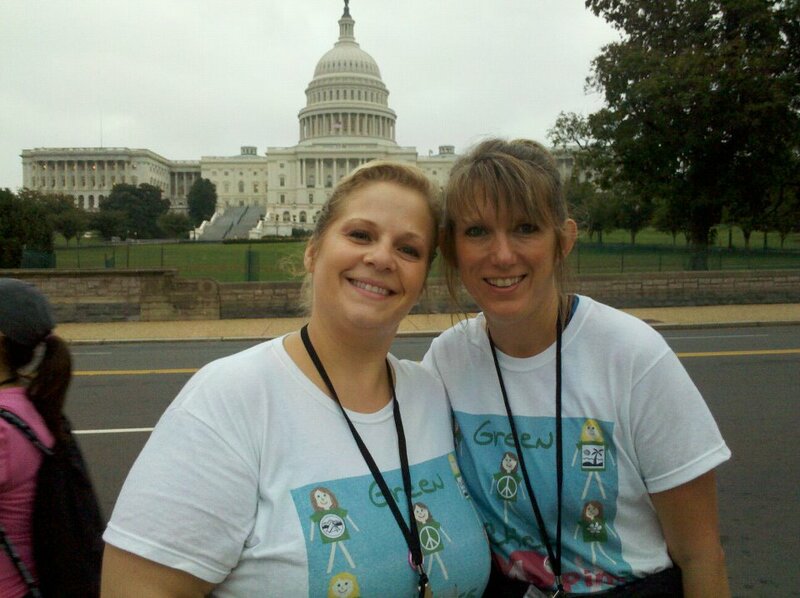 Day 1 "Green Chicks 4 Pink"
♥ Countless other walkers we met, shared smiles, stories, and encouragement with along the route. 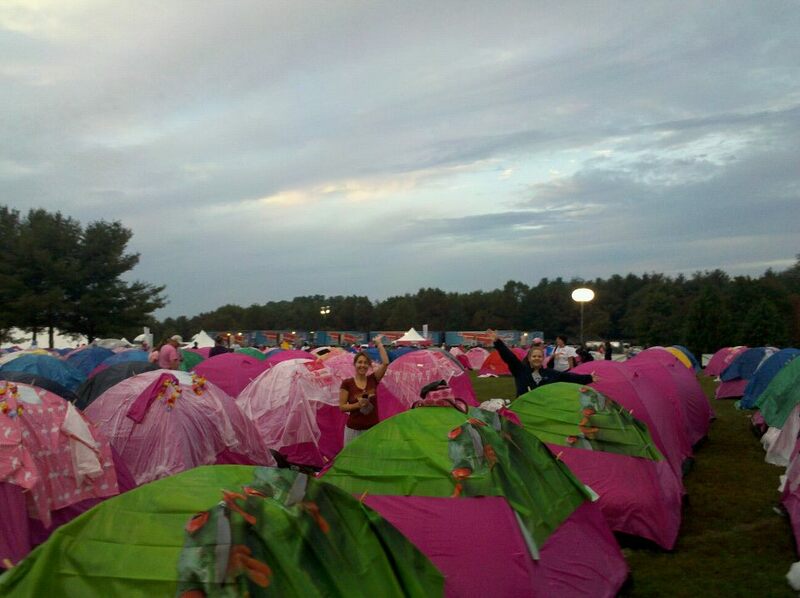 Tent City and our camp: Green Tree Frogs 4 Pink. Walking the Walk! Day 1, downtown DC. ♥ Millions of prayers gratitude that the weather was dry yet cool on Saturday and Sunday. 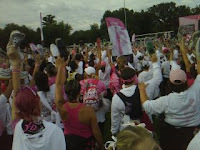 ♥ In total, over $7 million DC walkers raised for breast cancer because "everyone deserves a lifetime." Day 2: Downtown Bethesda, MD about 1/2 way to 60. After taking part of this experience, this 3 Day Walk, I am changed. I am achy, blistered, and tired; yet, I am awed, inspired, proud, and changed. Seeing women who have battled cancer and are survivors and those who are still battling cancer walking, I am humbled. Walking alongside me, there were women much younger and much older. Women of all shapes and sizes. Women with jitters and uncertainties...yet with hearts, compassion, courage, and triumphs. Now I am one of them. I feel honored to be in their company. 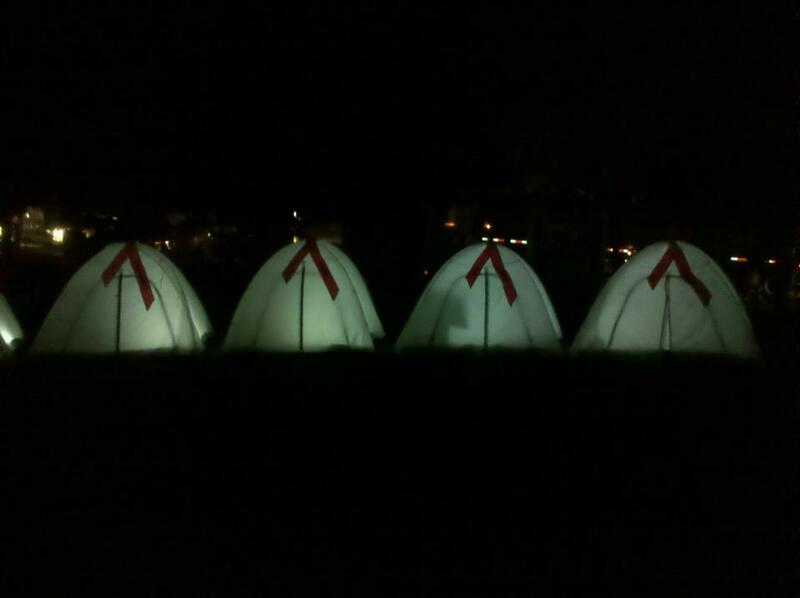 Remembrance Tents for those who passed. 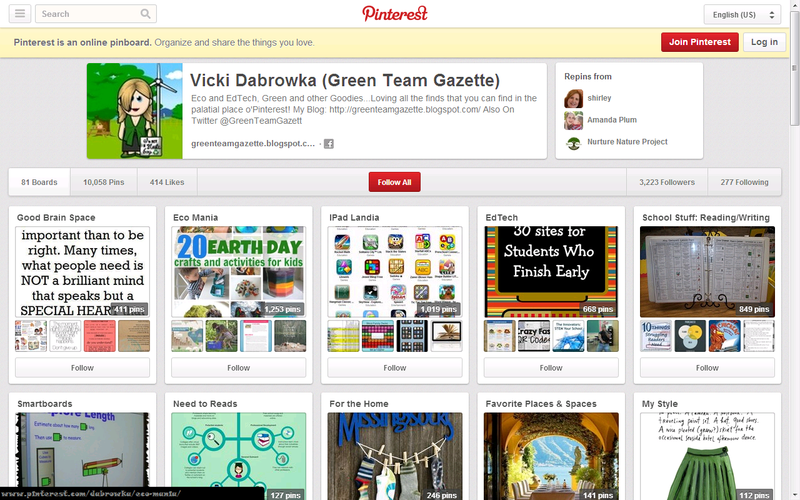 I feel doubly proud of our team, "Green Chicks 4 Pink." I feel blessed to be part of my amazing team with our roadside addition of a 6th very special member we met along the way. I am proud of the money our team has earned for this cause. I am thankful to all of our friends and family members who helped with their both their monetary and emotional support. Without them, none of us could have had the courage and ability to go forward and do this sizable accomplishment. Day 3: What "We Made It" Looks Like! Will I do it next year? Um, let's not go crazy with that yet! But this cause will always be important to﻿ ﻿ me. A question asked often: "Why do you walk?" Among my many reasons, a major one: "I walk for my daughter...so she won't have to." 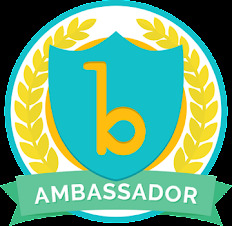 ﻿﻿As an environmental educator, I feel strongly about the fact that little actions we each can take can make a monumental difference. Feeling the energy of these 3 days, despite Friday's downpours and the mud squishing through my toes in our pink "Tent City" that night, I feel the re-conviction of that sentiment. Yes, individual actions make a difference. All of our little steps led to 60 miles. Every donation dollar led to an amount over $7,000,000. 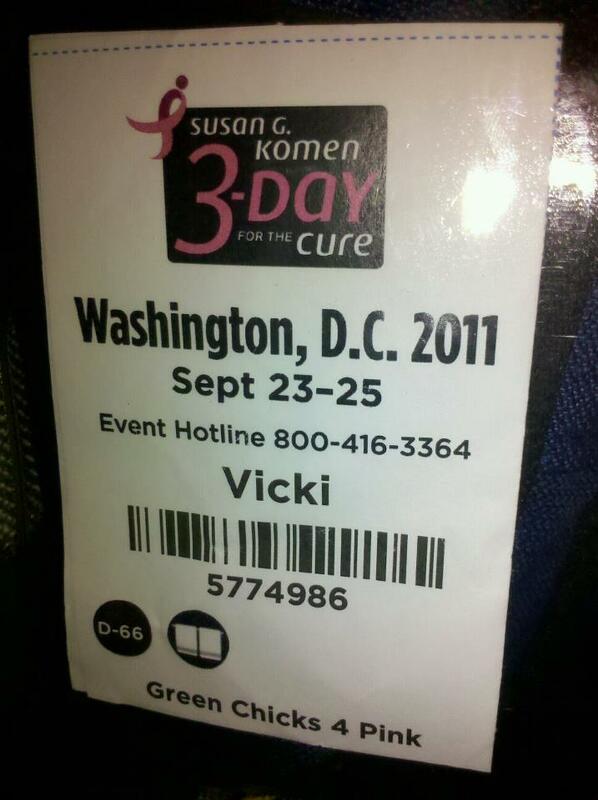 My credential badge serves as a reminder of the power of one...as do the picture and memories I will always have. Day 3: Closing Ceremonies ~ We Made It! Raising the Shoe to tribute survivors! To learn more about breast cancer, click here to discover more stats and facts, like: 1 in 8 women will be diagnosed with invasive breast cancer in their lifetime. Click here to find out more about the Susan G. Komen 3 Day Walk for the Cure or to donate to a wonderful, important cause.